It wouldn’t be Black Friday without mass quantities of ultra-affordable hard drive space. 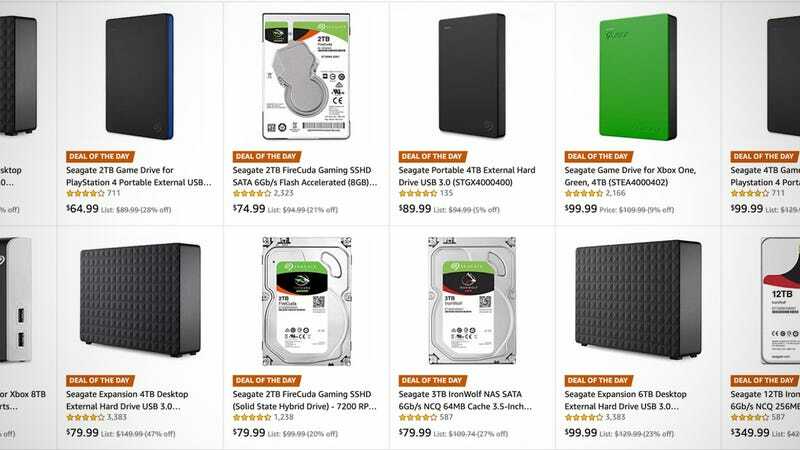 Amazon’s Seagate sale includes internal and external hard drives, and even some SSDs. The most interesting deal is probably the 2TB FireCuda 2.5" for $75. This is the drive of choice for most people upgrading their PS4's internal storage, since it has 8GB of flash storage incorporated to speed up loading times. Beyond that, the prices are all good here, as one would expect on Black Friday. 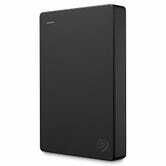 The 6TB desktop drive for $100 seems like a sweet spot, as does a 4TB portable drive for $90. But be sure to head over to Amazon to see the rest of the deals.